This was a comprehensive and exciting victory. It ended 6-1, but it could have been more as City pressed forward relentlessly from the first minute to the last. After last week's first loss of the season to Everton, this was a welcome return to form and, excitingly, it felt like a tantalising glimpse of the future too. It was a changed team, enforced by absent regulars, and two fifteen year olds, both stars of the all-conquering u16s side, were handed starting places. Jadon Sancho, a precociously talented left-winger, only 15 in March and already a headline maker earlier in the year, made his first ever start at this level, and Tom Dele-Bashiru his second, his first coming last season in a relative dead rubber as the season wound down. They were simply brilliant, and both were huge parts of a devastating attacking performance that left Newcastle dead on their feet long before half-time. We were two up within five minutes, both coming from the wonderkid, Sancho. Picking the ball up on the inside left position, each time he ran directly at the right back, and each time he left him for dead with consummate ease before firing home. Perhaps the keeper could have done better with both, but the goals were just rewards for a display blessed with magic. Comically, and brilliantly, one particular moment saw an attempt to double mark him fail so miserably that their number 4 was left so unbalanced he walked off in entirely the wrong direction, giving up through sheer exasperation. Magical stuff. He plays like a Brazilian, a real street footballer. It's no surprise to hear he idolises Neymar either. Stylistically it's uncanny - both dance with the football, shimmying this way and that, taking sheer pleasure out of habitually embarrassing their opponents. Satisfyingly though, there was a end product to the trickery and a real intelligence to his game too. It was evident in his involvement in the third as he linked up with the impressive Duhaney who broke into the area before teeing up Paolo Fernandes at the back post to fire into the roof of the net. The fourth came not longer after the second half began, Lukas Nmecha capitalising on a sloppy back pass to break away and toe-poke the ball past the onrushing Newcastle keeper. He grabbed the fifth too in another impressive display, pulling rank to fire past the keeper as a mild tussle for the ball had broken out after the referee had awarded City a penalty, with Sancho understandably keen for a hat-trick chance. Duhaney had earned the spot-kick, brought down in the area after his pace saw him reach a loose ball first. Newcastle grabbed one back but it was left to late sub Isaac Buckley to give the scoreline the gloss it deserved at the final whistle. He picked the ball up on the right and ran directly at the left-back, twisting both ways before rifling home past the keeper from just inside the area. A trademark finish, and a fitting ending to a performance blessed with skill, pace, intelligence and a real healthy arrogance. This was hugely enjoyable and thoroughly deserved. Individually it was hard to see past Sancho, a real headline grabber, but there was contributions all over the pitch. Tom Dele-Bashiru was fantastic. Raw round the edges still, naturally given his age too, he's already quite clearly something of a beast. His acceleration in the centre of midfield from a standing start is devastating. From nothing to full tilt in the drop of a hat, he frequently shifted through the gears to drive past several challenges. When you mix that strength and pace with excellent technical ability its almost unstoppable, and it caused Newcastle all manner of problems. He's some player, and a regular spot in the u18s beckons long before the season's out. Alongside him Diallo was a monster. This was a performance of real seniority, equally effective snuffing out attacks as he was driving forward, he showed a real touch of class in a game where City were in total control from the first minute to the last. Davenport alongside them was a quiet, authoritative figure, frequently snapping into tackles before Newcastle had any chance to build anything, and Paolo Fernandes was a tricky nightmare, darting frequently at their defence with his usual impish delight. Defensively it wasn't the most testing of days, but what little the centre-back pairing of Charlie Oliver and Tosin Adarabioyo had to deal with, they did with an almost arrogant ease. Adarabioyo was a man mountain. He looked a class above at this level, a real leader too. It was a captain's performance from the off and he looked equally comfortable, unsurprisingly given his natural ability on the ball, when he was asked to spend twenty five minutes in midfield as Joe Coveney made a solid cameo at centre-back. Duhaney was excellent. Starting on the left, he also spent thirty minutes in the right-back role when Callum Bullock, who was once again a solid presence, was replaced by the young left-back Lewis Blackshaw. Duhaney was a threat, darting forward repeatedly and linking up well with Isaac Buckley down the right. He was equally effective on the left too, forming a natural partnership with Sancho within minutes. Buckley's cameo was devastating, yet again. He scored, as he always seems to these days, and was a persistent handful against Newcastle's tiring legs. All this and without several regulars this year. Two of the standout players for the u18s, Will Patching and Marcus Wood are away with England on international duty. Dilrosun, Kongolo and Kigbu weren't in the match day squad and Isaac Buckley and Zack Faour only made the bench - the former an unused sub. When you consider that Aaron Nemane and Humphreys have both played at this level this year too and the much-hyped Spanish star Brahim will also soon be eligible then it really starts to sink in how deep the talent pool is at the CFA. This is a remarkable group, and a group that is only going to improve too. There's a whole host of the u16s that could step in and excel at this level, with Sancho and Dele-Bashiru's performances offering a glimpse at the untapped potential we have seemingly on tap. Campbell, Foden, Bolton, Smith to name just a few. The u16s won again by the way, if there was any doubt. 5-1 v Newcastle. 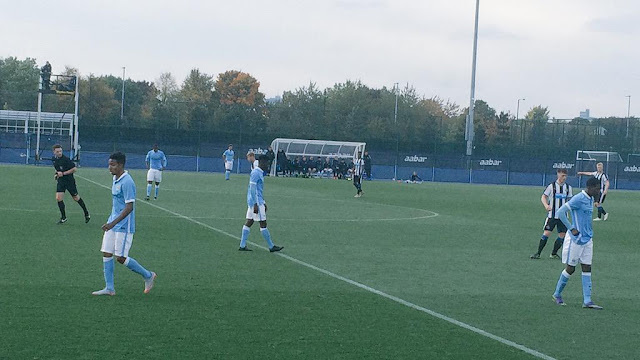 Campbell scoring a hat-trick, Phil Foden grabbing a goal and a Brazilian u17 trialist from Corinthians grabbing the fifth. A remarkable day at the CFA, but that's becoming the norm these days. Next up, excitingly, is the u18s derby this Friday night. It's at the CFA academy. As ever, a report will follow on here. Great stuff thx for the report. Really appreciate your match reports from the EDS down.keep it going,thank you! 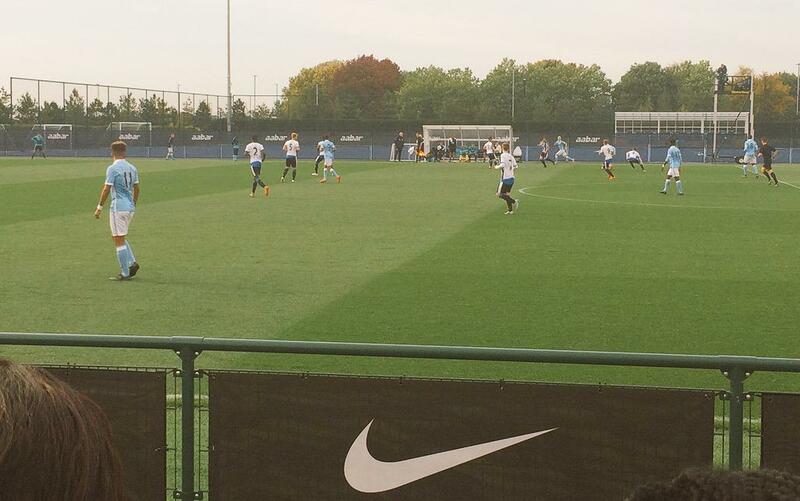 CFA weekend roundup - EDS, U18s & the U16s.